After notching career-highs in catches, receiving yards and touchdowns in Arizona last season, Jaron Brown signed with the Seahawks in March. 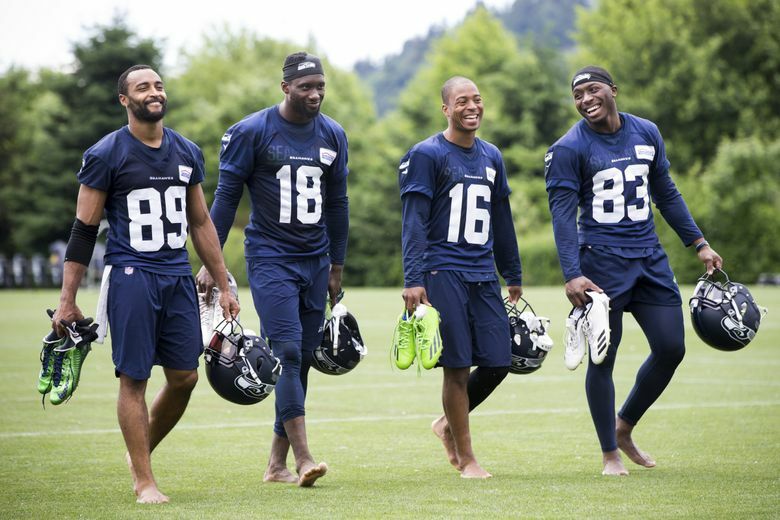 Now the 28-year-old wide receiver is motivated to take another positive step and contribute to a relatively unproven receiver corps. What made Seattle the right place for you in free agency, and what has your first impression been of the organization? It looked like you took a positive step last season, with career-highs in catches (31), receiving yards (477) and touchdowns (4). What do you attribute that to? You invented a catchphrase, “WUDDNME,” that is a staple of your social media accounts. What is the origin of that and what does it mean?